This hole dog legs from left to right. 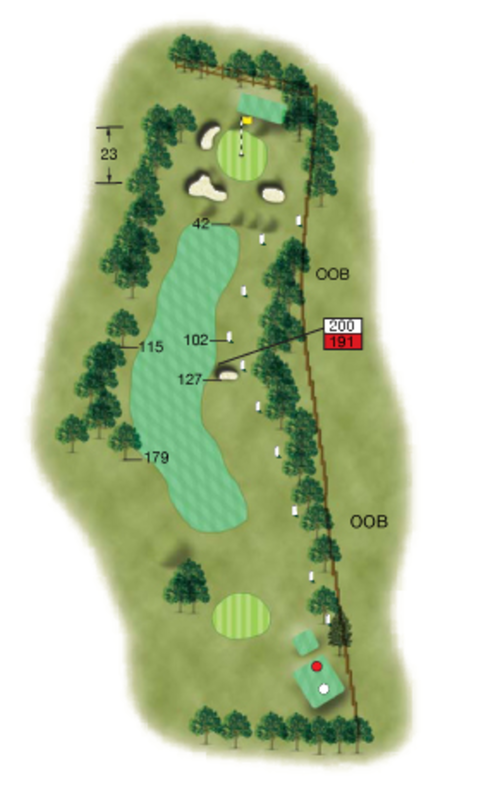 Out of bounds runs down the entire right side of the hole making the tee shot very difficult, especially in the prevailing left to right wind. Allow for the wind too much and you could find yourself in the trees that await down the left side. 3 greenside bunkers protect, what is, one of the flattest greens on the course. No reward for taking on the out of bounds here. Hit your drive as far left as you like.